春晚 Chunwan – China’s Fabulously Crazy New Year’s Gala | WWAM Bam! 春晚 Chunwan – Spring Evening – are two words laden with cultural meaning in the Chinese language. 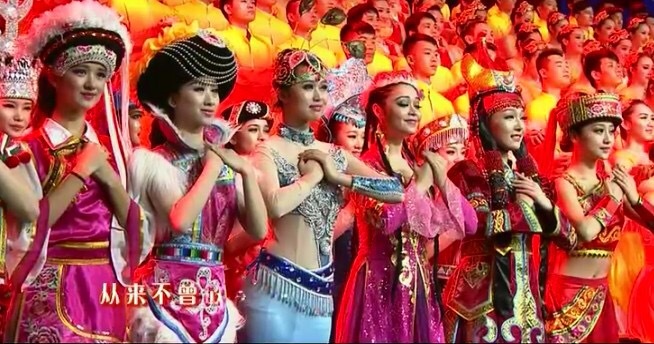 Every year on the first day of Chinese New Year, or Spring Festival, almost the entire nation turns on their TV, or now their laptops, to broadcast this four-hour long marathon of finest Chinese entertainers and some other, pretty perplexing stuff. Chinese media claims that 1.03 billion people tuned in in 2016 to enjoy this CNY tradition, so it would seem there’s hardly anyone who isn’t watching. If you’re new to China or are looking forward to a Spring Festival with your Chinese family-in-law, chances are you won’t be able to escape it, but then again you kind of shouldn’t anyway. For while parts of it are most painful, overall it’s a fascinating experience, that can give you a nice overview of the who’s who in Chinese entertainment, the different styles of aforementioned entertainment and “the temperature of the nation” so to speak. 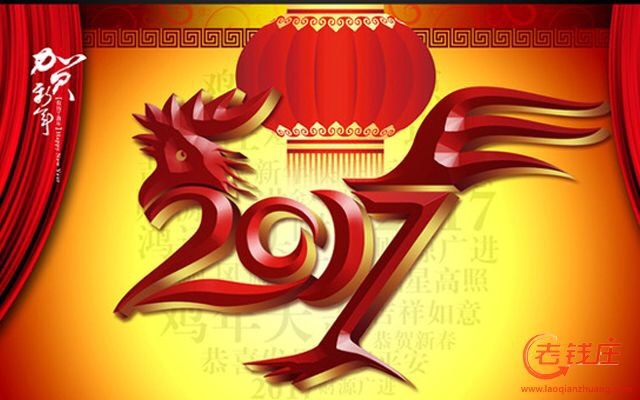 Of course, based on the Chinese zodiacs each year will bear the theme of the New Year, so this year we say goodbye to the Year of the Monkey and welcome the Year of the Chicken. If that’s not ample comedic potential, I don’t know what is! When you are organizing the equivalent of Britain’s Last Night of the Proms for a viewership of over 1 billion, tailoring content to your audience, as you can imagine, is quite the challenge. The Gala does try it’s best to include something for everyone each year, be it old or young, Party or heathen. So let’s delve into some of the typical and the not-so typical sections of the annual Spring Festival Gala. Nowhere is this attempt to straddle generations more visible than in the selection of superstars that will grace the show with their presence. A bit of Wang Leehom or Jay Chou for the millennials, some young little bunny and pre-shave teenage boy for the post-90s and post-2000 babies and then of course the good old veterans of the business, such as Andy Lau or Jackie Cheung (not Chan!, although did you know that for the longest time he was actually a singer? He did the Mulan Soundtrack! Anyway, I digress…), they all make their way to the grand stage of CCTV to light up viewers’ hearts with their greatest hits. I have been watching the Chunwan Spectacle since I had my first CNY in China in 2013 – and my personal favourite in terms of musical entertainment was without doubt 2014, ringing in the glorious Year of the Horse. Most remarkably was the mellow mash-up of the 情非得已 with Korean superstar Lee Minho (skip to 3mins for the more lively bit), definitely an attempt to rake in those post-90 viewers. And then there was the 倍儿爽 overload, that I simply couldn’t get out of my head for weeks! That costume though…just LOL emoji. Ah, 2014 was a good Chunwan year. Every year without fail, there will be the section that showcases China’s 55 minority cultures and their “folk dances”. This section can be very interesting, as you get to see some flashy, ethnically diverse costumes and dance moves. Just be aware of a few factors. A) It’s more or less the same every year. B) There’s a big chance those Tibetan-, Uighur-, or whichever minority garment-wearing people are actually Han. 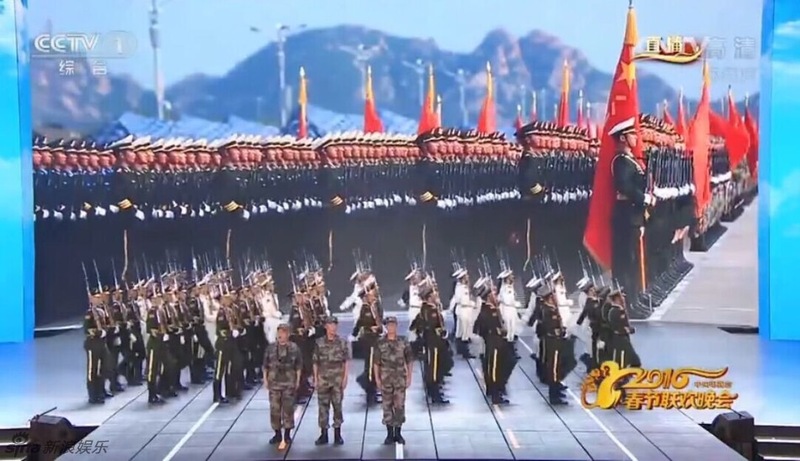 It’s all really just for the grand show, which C) makes it all the more ironic that the whole point of this section is to showcase what a happy, peaceful, diverse family the Chinese nation is. This portion seems to have increased manifold, with 2016 having been the year of a certain party’s 75th anniversary. A frail grandpa will be paraded in front of the audience wearing his best uniform and recount tales of building “the new China”. It could actually be a very historically interesting section, were it less peppered with propaganda. Usually time for me to pick up the phone and send blurred out WeChat photos in my Moments that particularly enthusiastic friends can access in return for some Hongbao goodness. WeChat? Moments? Hongbao? Say what? 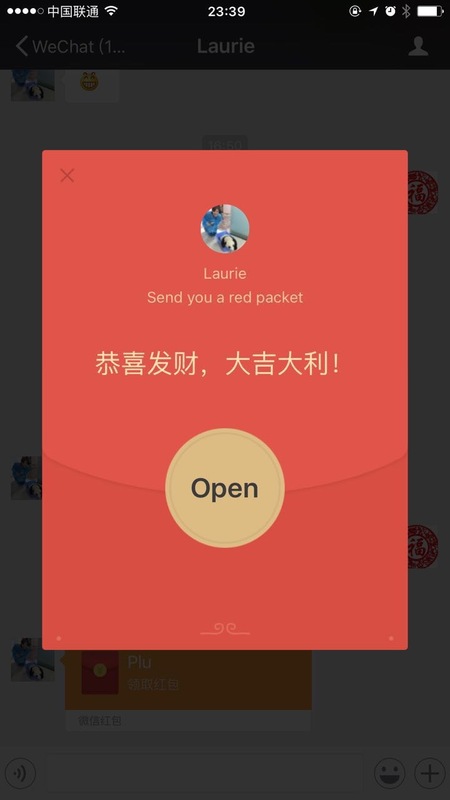 Let me back up a bit: so the WeChat app (China’s number one tool for chatting and social media-ing) introduced a function that blurs out the image, and it becomes visible once your friends send money in the form of virtual red-envelopes. No. not virtual money, actual bucks for the pleasure of seeing yet another of your failed selfies. It’s brilliant. You’re welcome. 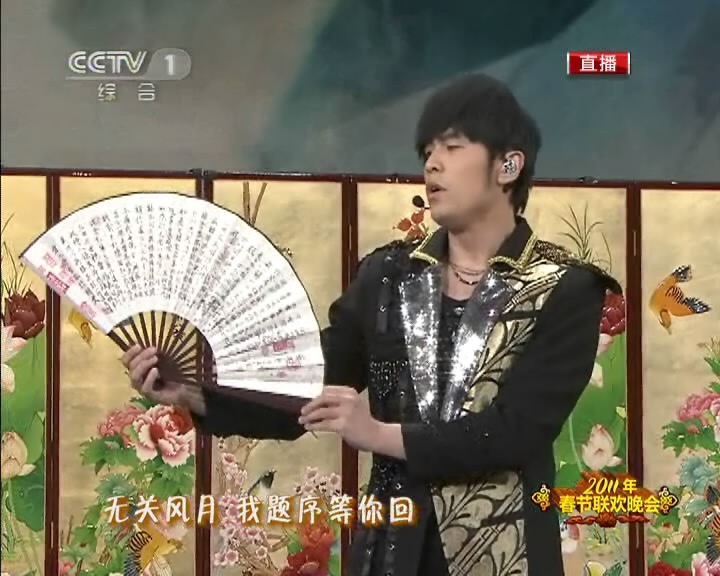 Ah yes, the good old days, when the sketches performed at the Spring Festival Gala were actually pretty funny and a valid social commentary. Once again it was the grandiose year of 2014, which saw one of my personal favourites, the aptly named “To Help or Not To Help”(or click here for the China-accessible link – i.e. not Youtube). The sketch very poignantly and sarcastically laid bare one of the more painful issues facing Chinese society in the past few years, the unwillingness to help people who are hurt for fear of retribution and being sued. Again, remind yourselves that as an entire nation of people watches on, there needs to be something for everyone; and that includes appearances of the kiddo’s favourite comic characters. Most classic of all – 喜羊羊 – Pleasant Goat and Big Big Wolf. Ahh, that takes me back to my days of studying Chinese at Uni. What better way to hone your linguistic skills than watch these fluffy little sheep kick the big, bad wolf in the rear end. Hey, don’t blame me. I will never grow up. And so, I’m pretty much on board with massive sheep mascots flitting across the stage to the unforgettable theme tune “Don’t you think I’m just a sheep…” lalalalalaaaaaa. Ok, you’ve lost me. And she’s back. Yes, well remember when I said 2014 was the best Gala in my short history of watching it? The last two years have been a depressing downward spiral, with 2016 earning particularly damning reviews by Chinese netizens. The main reason, as this article on The Diplomat explains, was the new level of propaganda, laid on extra-thick by the directors (or whoever makes these decisions, let’s not go down that road). We all expect a dash of “China Dream” here and a sprinkle of “New China” there, but last year there was nothing subtle about it. Chinese netizens took notice; and not in a good way. Add to that the fact, that the administration has been on an anti-foreign cultural influences campaign and such fun remixes as the aforementioned Korean Lee Min-ho rendition are almost certainly no longer on the menu. My personal headshaking in non-comprehension moment of Chunwan ’16 was the “shake-dat-phone” routine. In a desperate attempt to entice the smart phone generation, there was an absurd lottery that ran throughout the entire evening. Every now and then, the scarily enthusiastic hosts would scream at the viewership to “SHAKE THEIR PHONES NOW!! !” in order to collect different stickers in a McDonald’s Monopoly kind of lottery. You really do get sucked in, and in the end, I found myself desperately shaking my phone up and down, thinking that if anyone from the past could see us now, 1 billion people lounging on the sofa, wildly shaking their phones up and down like a nutter (hopefully without it slipping out of their hand right into the telly), they would be convinced the world had gone mad. Sad thing is, I can’t wait to see what crazy mobile phone game they have in store this year. One way to get through the CNY Gala craze is to make it a fun drinking game invented by City Weekend. They’ve got a pretty spot-on list of occasions to chug and down your alcoholic beverage of choice, including but not limited to China dream, army garb, minorities or Jay Chou. And that just about sums it up. If that doesn’t improve the viewing experience ten times over, naught will. Of course, if like the many of us WWAMs you will be watching the spectacle with your Chinese husband and in-laws they might take offense at you getting absolutely plastered and making fun of the TV event of the year. So chose your game mates carefully. This year’s Gala has already got a head start of being “chicken-themed”, a fountain of potential hilarity. So now, the entire nation waits with bated breath to see whether the Gala’s will finally be able to step out of that downward spiral it has been on to return to just slightly propaganda filled, quirky four hours of singing, social commentary with a few giggles and corny, ever so slightly over-the-top, tugging at your heartstrings. Pingback: How 6 Western Women Celebrate Spring Festival with Their Chinese Husbands | WWAM Bam!